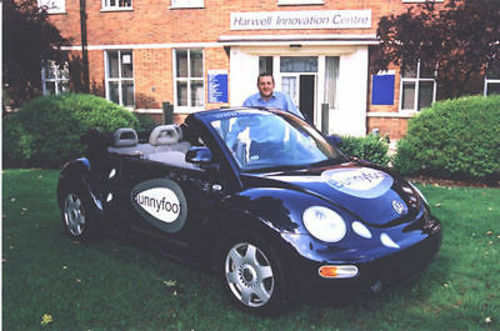 What is believed to be the world's first internet enabled car - dating back to November 2000 went on sale today on eBay.co.uk. It's creator Robert Stevens said "It's a chance to own a piece of internet history." The VW Beetle soft top was used to promote the importance of good UX when creating digital experiences.